Portable Communications Specialists, Inc. Motorola Two Way Radio Dealer service and support The Chicago Area. Talk Is Cheap! Unlimited talk time at affordable rates. We have the largest coverage area of any provider in the Chicago area. We work closely with a licensed frequency coordinator so we can take care of ALL your FCC licensing requirements. We can assist you with new applications, relocations and modifications. 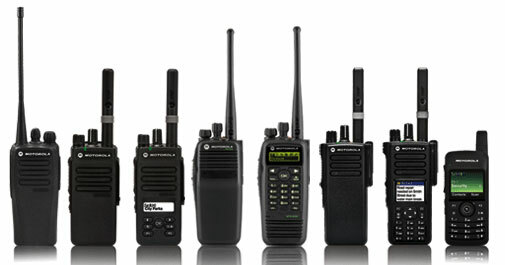 Check out Motorola's industry leading commercial series portable two way radios. Choose from the BPR40, CP200D, XPR 3500, SL7550 and XPR7550. Portable Communications Specialists has been the Chicago area’s best kept secret Since 1979. Our business is built upon word of mouth recommendations. It is an honor to be recognized by customers for our commitment in excellence. We use Motorola’s industry leading products to develop and implement your unique communication solutions. Additionally, leasing plans, short and long term rentals and wide area repeater service are available. For years, businesses and local governments have placed their trust in us. Now it is your turn to learn what we can do for you! Go ahead and give us a call today! When your firm needs wireless communications you can depend on Portable Communications Specialists. Our staff is always there when you need service and support - just like we have been Since 1979. Our staff's wireless experience will ensure that your system will fit your needs not just for today but your long term needs as well.